Do people of opposing political parties believe in different facts? The mantra at the moment is that they do, because of media echo chambers, motivated reasoning, and ideological blindspots. But a more careful look reveals a different answer, with perhaps even more startling consequences. 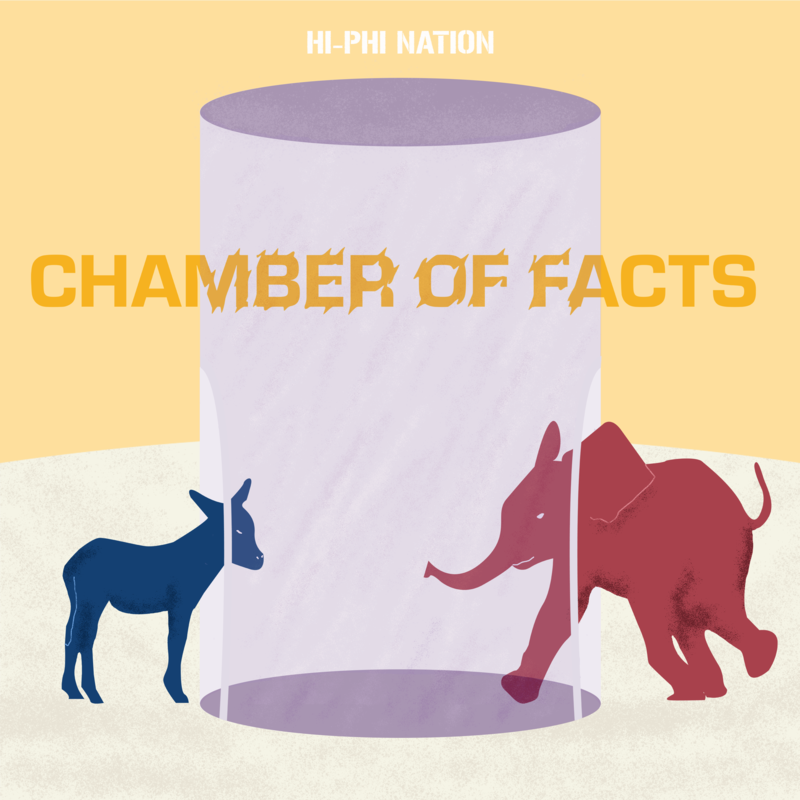 This week we follow two conservative Republicans who consumed a liberal newsfeed for two weeks, and we look at the empirical and philosophical problem of the way partisanship affects belief in facts. Guest voices include Janalee Tobias, Trent Loos, philosophers Daniel Wodak and Eric Schwitzgebel, and political scientist John G. Bullock. Bonus content: Philosopher Daniel Wodak and I sit down to talk about media echo chambers, the risk of epistemic exploitation, and what to do about it. The episode is brought to you by the Great Courses Plus. Sign up for one month free at www.thegreatcoursesplus.com/hiphi. “Misinformation or Expressive Responding: What an Inauguration Crowd can tell us about the source of misinformation in surveys” by Brian Schaffner (UMass Amherst) and Samantha Luks (YouGov). Eric Schwitzgebel, Philosophy, UC Riverside. Read Across the Aisle; an app to get you out of the echo chamber.